When people talk about digital transformation the typical areas of focus lie around industry areas of retail, manufacturing or healthcare. 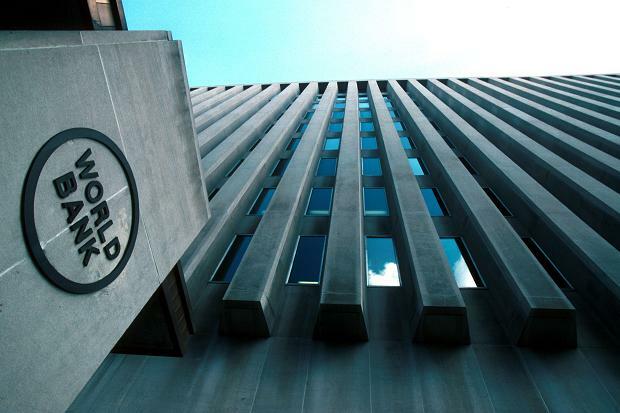 The area of financial services, meanwhile, is typically considered slow to change, but The World Bank is changing that notion. The bank, which was founded after WWII initially to help Europe rebuild and later to focus on help eliminate extreme poverty by 2030, is moving ahead faster than most businesses across any industry sector with its adoption of technologies. Stephanie von Friedeburg, CIO of the World Bank Group spoke to CBR about its cloud first approach, adoption of Hadoop and the challenges that have been faced and overcome. With offices in 186 countries the bank is faced with all the traditional issues of siloed data, an extremely complex infrastructure layer and a duplication of technologies that weren’t being used. The bank took on a cloud first approach when von Freideburg took on the role of CIO four years ago and is in the process of eliminating three of its five data centres which it has shifted to the cloud. The CIO said that this approach was seen at first as being crazy. It was faced with moving from being a Lotus Note shop to adopting both Office 365 and Box. Von Friedeburg looked at the cost of doing this on premise and how vulnerable they would be from a security perspective, finally coming to the conclusion that for both cost and convenience a move to Office 365 and Box was the right one. A near immediate impact was felt within the organisation as a result of a coup in Burundi, an earthquake in Nepal and unrest in Afghanistan and Kabul which needed the evacuation of staff. "Typically in the past we would have gone to the country office, taken the servers, moved our staff to another country office, reinstalled the servers and then tried to get them up and going. It would have taken 2 weeks to get all those people functioning again," said von Friedeburg. In each of these cases the bank was using Office 365 and Box which meant that they just had to move the staff to another office and they were functioning the next day. She said: "From a safety, security and operational perspective those two moves really helped us begin to get the organisation at large to think about the cloud." This doesn’t mean that it was an easy move though as the typical challenges were faced with changing opinion about cloud. A lawyer once told von Friedburg that moving to the cloud would be like putting all of its information in a paper box, writing free on it and setting it on the curb. She said that essentially they had to think about the risk that is being taken off the table, but also the added risk. For example, it is more probable that someone would get access to email when you have 186 offices on premises. The bank is currently using Microsoft Azure and has recently closed a transaction with AWS to move things there as well. The transition for the bank hasn’t ended there. Work has been undertaken to remove data silos and it has created a data council that is chaired by the CFO and MD of operations. This works to unify the data, create data dictionaries and to create data standards. "I actually think it’s really exciting because people are starting to understand the importance the value of it," she said. Sticking with the challenges posed by data, the bank is consolidating smaller business-led instances of Hadoop with an enterprise level offering. Before building this there were some key questions asked of the business and why it needed it. "Before we build a Hadoop environment tell us what you are going to do with it, what problems are you trying to solve, what are you looking at and how are you looking at it." Not only is there an effective cloud strategy in place but there is also a development data hub, this is basically a repository for all the data that has be held either for contractual or legal reasons. With this the data can be used and reused. Hadoop is being used for one part of the puzzle while other work is being done with Mark Logic and Splunk. Big data tools are seen in a lot of places across the group but there is a problem caused by this, namely the duplication of tools that aren’t being used. The CIO said that they are good at having a narrow problem, buying a tool that solves that but not using the five or six other tools that came along with it. Then when another problem arises they go and buy another tool that has four or five tools that the original already has. "We have a lot of duplication that we don’t use, so being able to leverage that and think a bit more broadly out of the narrow problem is important and it’s something we’ve got to get better at." One of the major things that von Friedeburg has learnt is: "If it’s being built by someone outside – use that." The problem is that essentially they were trying to reinvent the wheel with collaboration tools. Over the past six or seven years the bank had seen new tools deployed, a spike in use and then a drop off. The bank eventually build a directory like Skill Finder which helps people connect to others with the right skills around the world. Von Friedeburg said: "It’s been like having your teeth extracted to get people to put their data in and keep their data in." Basically the bank was trying to rebuild LinkedIn and this forms an important point that should be followed by any organisation. The point is that there is not necessarily a need for the business to focus on building software, they can instead use tried and tested technology and focus their work elsewhere. The whole transformation that has been undertaken has seen the CIO take control of all the technology decisions. "Let us worry about the tech, what’s under the hood should be irrelevant to you." This isn’t to say that the business doesn’t have a say in it, in fact von Friedeburg says that she spends a lot more time with the business. She works directly with three business directors that understand the business and what it needs. Next ArticleSnoopers’ Charter: Will it pay for ISPs and tech companies to fight the IP Bill?